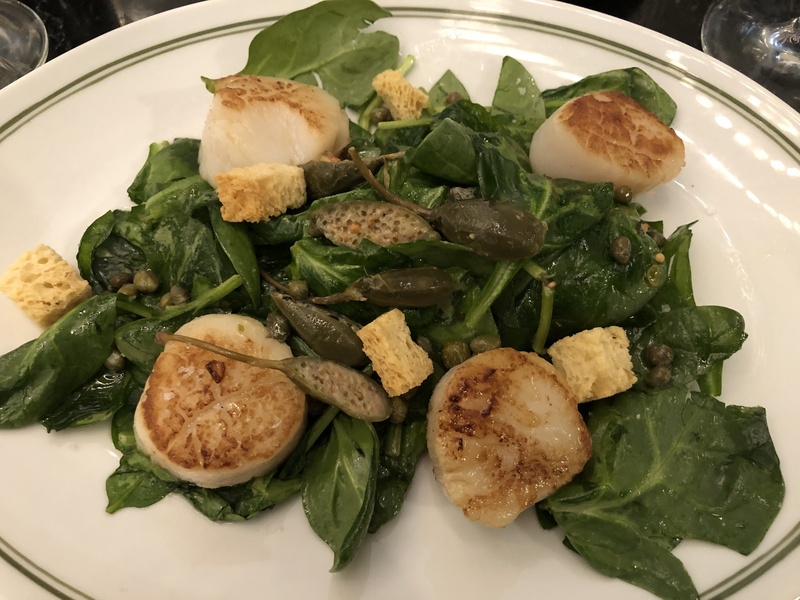 Home Tips	La Belle Helene Brasserie! Happy Thursday, my friends! Last Friday night my husband and I went out for our regular date night. Usually it consists of a favorite local restaurant, but this past week we decided to try something different! My husband found this restaurant online and it got rave reviews! It’s call La Belle Helene in Charlotte! Come see a few amazing pictures and find out what we had and LOVED! La Belle Helene Restaurant is located at 300 South Tryon Street in Charlotte, North Carolina. It was designed by a renowned Paris designer named Richard Laford. He designed the restaurant on a French brasserie concept, which basically means an informal restaurant which serves simple, hearty food in a French way. And the restaurant is GORGEOUS! We got there early because we had tickets to the symphony, so I was able to snap a few pictures before it got too crowded. First, there are three of these massive chandeliers! There are tons of tables for dining, but make sure to make a reservation, especially on the weekends! La Belle Helene has several private rooms available for parties and events. And the view from our table into one of the private rooms. All of the decor is black and gold. Classic and beautiful! This is the bathroom, which is sort of unisex. Each toilet is in a closed room and the wash station in the middle. The words are written backwards for selfie opportunities, which is apparently a thing. Not my thing, mind you, hence this picture. The tile work is beautiful! My husband, Brad and I split two appetizers, which were the tuna tar-tar and the mussels. The tar-tar was lemony and refreshing, but the mussels were our favorite! They served crispy, French Baguette bread which we dipped into the mussel sauce, that had a butter and garlic base. AMAZING!!! For my entree I got the scallops over a bed of spinach. Also delicious. Brad got the salmon with peas and carrots and we split a side order of macaroni and cheese. I think our eyes were too big for our stomachs. Between the appetizers, salad, and bread, we could barely eat all of our entrees, much less the side dish. We each took a bite of the mac and cheese, but couldn’t finish it. But, it too was SO good! The highlight of the evening was most assuredly La Belle Helene! If you have a chance to go, you should! For simplicity, we took an Uber into Charlotte and back. The ambiance and food were top notch, as well as the wait staff. We give it 5 out of 5 stars!